Class 3: Creative Options of your machine. Machine in good working order with power supply and foot pedal. 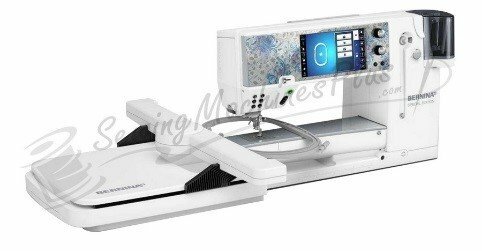 You will not need the embroidery module unless your machine requires the unit to access the embroidery screen. All feet and accessories that came with your machine including the free hand system, slide on table, and instruction manual. Thread: sewing thread 50 weight cotton or cotton polyester thread. 2 GB or 4 GB USB Stick or larger. A printed copy of My BERNINA Sewing Machine Workbook 3. Contract instructor to receive an electronic copy. You can also choose to attend this class as a lecture/demo and not bring you machine. The lesson will be shown on the screen.